John Brown’s career for the last six weeks of his life was meteor-like, flashing through the darkness in which we live. I know of nothing so miraculous in our history. If any person, in a lecture or conversation at that time, cited any ancient example of heroism, such as Cato or Tell or Winkelried, passing over the recent deeds and words of Brown, it was felt by any intelligent audience of Northern men to be tame and inexcusably far-fetched. For my own part, I commonly attend more to nature than to man, but any affecting human event may blind our eyes to natural objects. I was so absorbed in him as to be surprised whenever I detected the routine of the natural world surviving still, or met persons going about their affairs indifferent. It appeared strange to me that the “little dipper” should be still diving quietly into the river, as of yore; and it suggested that this bird might continue to dive here when Concord should be no more. I felt that he, a prisoner in the midst of his enemies and under sentence of death, if consulted as to his next step or resource, could answer more wisely than all his countrymen beside. He best understood his position; he contemplated it most calmly. Comparatively, all other men, North and South, were beside themselves. Our thoughts could not revert to any greater or wiser or better man with whom to contrast him, for he, then and there, was above them all. The man this country was about to hang appeared the greatest and best in it. Years were not required for a revolution of public opinion; days, nay hours, produced marked changes in this case. Fifty who were ready to say, on going into our meeting in honor of him in Concord, that he ought to be hung, would not say it when they came out. They heard his words read; they saw the earnest faces of the congregation; and perhaps they joined at last in singing the hymn in his praise. The order of instructions was reversed. I heard that one preacher, who at first was shocked and stood aloof, felt obliged at last, after he was hung, to make him the subject of a sermon, in which, to some extent, he eulogized the man, but said that his act was a failure. An influential class-teacher thought it necessary, after the services, to tell his grown-up pupils that at first he thought as the preacher did then, but now he thought that John Brown was right. But it was understood that his pupils were as much ahead of the teacher as he was ahead of the priest; and I know for a certainty that very little boys at home had already asked their parents, in a tone of surprise, why God did not interfere to save him. In each case, the constituted teachers were only half conscious that they were not leading, but being dragged, with some loss of time and power. The more conscientious preachers, the Bible men, they who talk about principle, and doing to others as you would that they should do unto you, — how could they fail to recognize him, by far the greatest preacher of them all, with the Bible in his life and in his acts, the embodiment of principle, who actually carried out the golden rule? All whose moral sense had been aroused, who had a calling from on high to preach, sided with him. What confessions he extracted from the cold and conservative! It is remarkable, but on the whole it is well, that it did not prove the occasion for a new sect of Brownites being formed in our midst. They, whether within the Church or out of it, who adhere to the spirit and let go the letter, and are accordingly called infidel, were as usual foremost to recognize him. Men have been hung in the South before for attempting to rescue slaves, and the North was not much stirred by it. Whence, then, this wonderful difference? We were not so sure of their devotion to principle. We made a subtle distinction, forgot human laws, and did homage to an idea. The North, I mean the living North, was suddenly all transcendental. It went behind the human law, it went behind the apparent failure, and recognized eternal justice and glory. Commonly, men live according to a formula, and are satisfied if the order of law is observed, but in this instance they, to some extent, returned to original perceptions, and there was a slight revival of old religion. They saw that what was called order was confusion, what was called justice, injustice, and that the best was deemed the worst. This attitude suggested a more intelligent and generous spirit than that which actuated our forefathers, and the possibility, in the course of ages, of a revolution in behalf of another and an oppressed people. Most Northern men, and a few Southern ones, were wonderfully stirred by Brown’s behavior and words. They saw and felt that they were heroic and noble, and that there had been nothing quite equal to them in their kind in this country, or in the recent history of the world. But the minority were unmoved by them. They were only surprised and provoked by the attitude of their neighbors. They saw that Brown was brave, and that he believed that he had done right, but they did not detect any further peculiarity in him. Not being accustomed to make fine distinctions, or to appreciate magnanimity, they read his letters and speeches as if they read them not. They were not aware when they approached a heroic statement, — they did not know when they burned. They did not feel that he spoke with authority, and hence they only remembered that the law must be executed. They remembered the old formula, but did not hear the new revelation. The man who does not recognize in Brown’s words a wisdom and nobleness, and therefore an authority, superior to our laws, is a modern Democrat. This is the test by which to discover him. He is not willfully but constitutionally blind on this side, and he is consistent with himself. Such has been his past life; no doubt of it. In like manner he has read history and his Bible, and he accepts, or seems to accept, the last only as an established formula, and not because he has been convicted by it. You will not find kindred sentiments in his commonplace-book, if he has one. When a noble deed is done, who is likely to appreciate it? They who are noble themselves. I was not surprised that certain of my neighbors spoke of John Brown as an ordinary felon, for who are they? They have either much flesh, or much office, or much coarseness of some kind. They are not ethereal natures in any sense. The dark qualities predominate in them. Several of them are decidedly pachydermatous. I say it in sorrow, not in anger. How can a man behold the light who has no answering inward light? They are true to their sight, but when they look this way they see nothing, they are blind. For the children of the light to contend with them is as if there should be a contest between eagles and owls. Show me a man who feels bitterly toward John Brown, and let me hear what noble verse he can repeat. He’ll be as dumb as if his lips were stone. It is not every man who can be a Christian, even in a very moderate sense, whatever education you give him. It is a matter of constitution and temperament, after all. He may have to be born again many times. I have known many a man who pretended to be a Christian, in whom it was ridiculous, for he had no genius for it. It is not every man who can be a free man, even. Editors persevered for a good while in saying that Brown was crazy; but at last they said only that it was “a crazy scheme,” and the only evidence brought to prove it was that it cost him his life. I have no doubt that if he had gone with five thousand men, liberated a thousand slaves, killed a hundred or two slaveholders, and had as many more killed on his own side, but not lost his own life, these same editors would have called it by a more respectable name. Yet he has been far more successful than that. He has liberated many thousands of slaves, both North and South. They seem to have known nothing about living or dying for a principle. They all called him crazy then; who calls him crazy now? All through the excitement occasioned by his remarkable attempt and subsequent behavior the Massachusetts legislature, not taking any steps for the defense of her citizens who were likely to be carried to Virginia as witnesses and exposed to the violence of a slaveholding mob, was wholly absorbed in a liquor-agency question, and indulging in poor jokes on the word “extension.” Bad spirits occupied their thoughts. I am sure that no statesman up to the occasion could have attended to that question at all at that time, — a very vulgar question to attend to at any time! When I looked into a liturgy of the Church of England, printed near the end of the last century, in order to find a service applicable to the case of Brown, I found that the only martyr recognized and provided for it was King Charles the First, an eminent scamp. Of all the inhabitants of England and of the world, he was the only one, according to this authority, whom that church had made a martyr and saint of; and for more than a century it had celebrated his martyrdom, so called, by an annual service. What a satire on the Church is that! Look not to legislatures and churches for your guidance, nor to any soulless incorporated bodies, but to inspirited or inspired ones. What avail all your scholarly accomplishments and learning, compared with wisdom and manhood? To omit his other behavior, see what a work this comparatively unread and unlettered man wrote within six weeks. Where is our professor of belles-lettres, or of logic and rhetoric, who can write so well? He wrote in prison, not a History of the World, like Raleigh, but an American book which I think will live longer than that. I do not know of such words, uttered under such circumstances, and so copiously withal, in Roman or English or any history. What a variety of themes he touched on in that short space! There are words in that letter to his wife, respecting the education of his daughters, which deserve to be framed and hung over every mantelpiece in the land. Compare this earnest wisdom with that of Poor Richard. The death of Irving, which at any other time would have attracted universal attention, having occurred while these things were transpiring, went almost unobserved. I shall have to read of it in the biography of authors. Literary gentlemen, editors, and critics think that they know how to write, because they have studied grammar and rhetoric; but they are egregiously mistaken. The art of composition is as simple as the discharge of a bullet from a rifle, and its masterpieces imply an infinitely greater force behind them. This unlettered man’s speaking and writing are standard English. Some words and phrases deemed vulgarisms and Americanisms before, he has made standard American; such as “It will pay.” It suggests that the one great rule of composition — and if I were a professor of rhetoric I should insist on this — is, to speak the truth. This first, this second, this third; pebbles in your mouth or not. This demands earnestness and manhood chiefly. We seem to have forgotten that the expression “a liberal education” originally meant among the Romans one worthy of free men; while the learning of trades and professions by which to get your livelihood merely was considered worthy of slaves only. But taking a hint from the word, I would go a step further, and say that it is not the man of wealth and leisure simply, though devoted to art, or science, or literature, who, in a true sense, is liberally educated, but only the earnest and free man. In a slaveholding country like this, there can be no such thing as a liberal education tolerated by the State; and those scholars of Austria and France who, however learned they may be, are contented under their tyrannies have received only a servile education. Nothing could his enemies do but it redounded to his infinite advantage, — that is, to the advantage of his cause. They did not hang him at once, but reserved him to preach to them. And then there was another great blunder. They did not hang his four followers with him; that scene was still postponed; and so his victory was prolonged and completed. No theatrical manager could have arranged things so wisely to give effect to his behavior and words. And who, think you, was the manager? Who placed the slave-woman and her child, whom he stooped to kiss for a symbol, between his prison and the gallows? We soon saw, as he saw, that he was not to be pardoned or rescued by men. That would have been to disarm him, to restore him a material weapon, a Sharp’s rifle, when he had taken up the sword of the spirit, — the sword with which he has really won his greatest and most memorable victories. Now he has not laid aside the sword of the spirit, for he is pure spirit himself, and his sword is pure spirit also. What a transit was that of his horizontal body alone, but just cut down from the gallows-tree! We read that at such a time it passed through Philadelphia, and by Saturday night had reached New York. Thus like a meteor it shot through the Union from the Southern regions toward the North! No such freight had the cars borne since they carried him southward alive. On the day of his translation, I heard, to be sure, that he was hung, but I did not know what that meant; I felt no sorrow on that account; but not for a day or two did I even hear that he was dead, and not after any number of days shall I believe it. 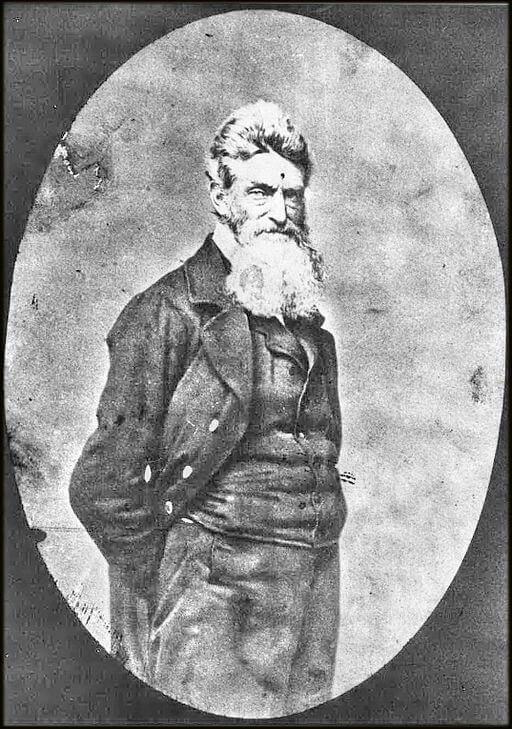 Of all the men who were said to be my contemporaries, it seemed to me that John Brown was the only one who had not died. I never hear of a man named Brown now, — and I hear of them pretty often, — I never hear of any particularly brave and earnest man, but my first thought is of John Brown, and what relation he may be to him. I meet him at every turn. He is more alive than he ever was. He has earned immortality. He is not confined to North Elba nor to Kansas. He is no longer working in secret. He works in public, and in the clearest light that shines on this land. Add The Last Days of John Brown to your own personal library.